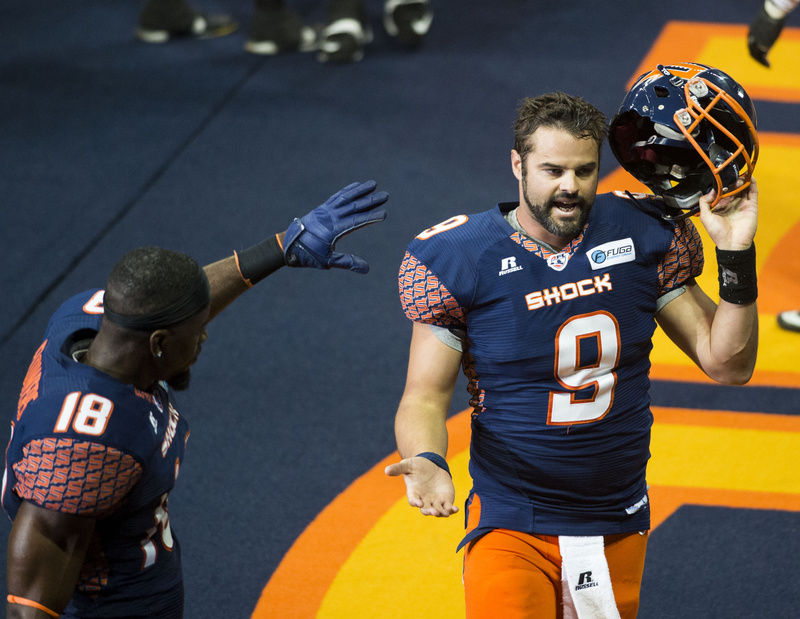 Some of quarterback Erik Meyer’s best games have come against the San Jose SaberCats. That won’t be possible next season. Meyer, the former Eastern Washington Eagle who helped Spokane reach the Arena Football League playoffs the last two seasons, signed with San Jose on Friday. Meyer, the league MVP in 2013, was Spokane’s starting quarterback from 2011-14, but he missed nearly all of the 2012 season due to injury. Meyer’s move wasn’t a surprise to Shock head coach Andy Olson. Meyer was 3-0 in his career against San Jose before the SaberCats blasted Spokane 55-28 in the 2014 playoffs. Spokane has two QBs on its roster and Olson indicated the team hopes to sign at least one veteran prior to training camp. West Virginia product Jarrett Brown was injured most of last season and didn’t play in a regular-season contest. Joe Southwick, a former Boise State Bronco, also didn’t appear in a game last season. Meyer passed for 2,519 yards and 54 touchdowns and added a franchise-record 20 rushing scores.